LEGO Life Magazine is a free quarterly publication for kids ages 5-10. 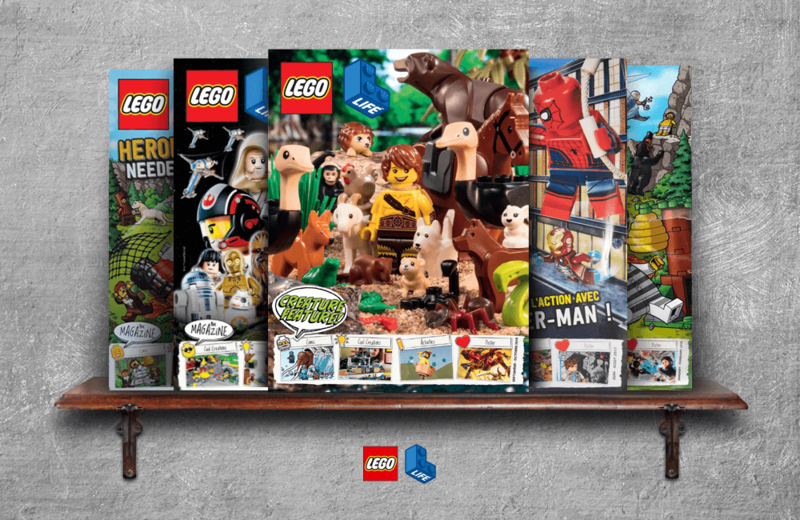 It resembles a comic book, full of adventure stories featuring LEGO characters and playsets. The scenarios are engaging for LEGO fans of all ages, and are complemented by news about LEGO events, building challenges, and competitions. Be sure to check out Cool Creations, a section featuring photos of everyday LEGO builders with their creations. It’s a a family-friendly celebration of everything LEGO.